Welcome to Parr's Landing, Population 1,528 . . . and shrinking. The year is 1972. Widowed Christina Parr, her daughter Morgan, and her brother-in-law Jeremy have returned to the remote northern Ontario mining town of Parr's Landing, the place from which Christina fled before Morgan was born, seeking refuge. Dr. Billy Lightning has also returned in search of answers to the mystery of his father's brutal murder. All will find some part of what they seek--and more. Built on the site of a decimated 17th-century Jesuit mission to the Ojibwa, Parr's Landing is a town with secrets of its own buried in the caves around Bradley Lake. A three-hundred-year-old horror slumbers there, calling out to the insane and the murderous for centuries, begging for release--an invitation that has finally been answered. One man is following that voice, cutting a swath of violence across the country, bent on a terrible resurrection of the ancient evil, plunging the town and all its people into an endless night. 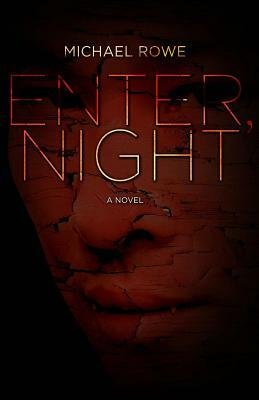 Michael Rowe is the author of Enter, Night (CZP) and has received the Lambda Literary Award and the Spectrum Award. He was a finalist for the International Horror Guild, Sunburst, Aurora and National Magazine Awards. Clive Barker has lauded Rowe for "changing the face of horror" with his Queer Fear anthologies.